March | 2015 | Larval Subjects . If architecture is a privileged site for thought, then this is because it enacts an intersection of matter, nature, meaning, economics, ecology, bio-materiality, aesthetics, subjectivity, politics, and affect in its exploration of the possibilities of materiality in inventing voids. It is not merely a cipher of culture, something to be interpreted and deciphered, but is itself a formation of culture; a series of machines forming subjectivities (as Foucault observed, though the disturbing example of the panopticon), relations between people, animals, plants, sky, earth, and the broader world, activities of life, and so on. 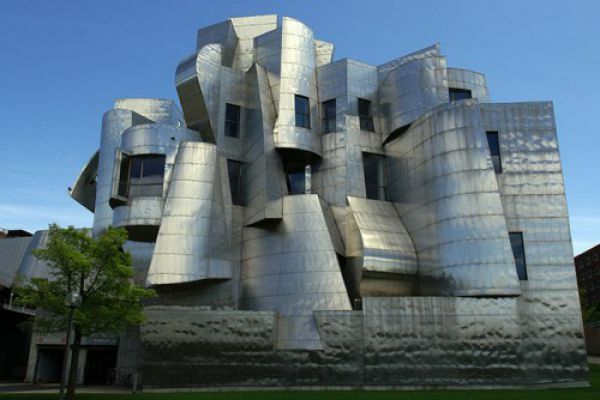 Architecture does not merely express in the sense that those calling themselves historical materialists treat cultural artifacts as crystalized or coagulated expressions of their time; no, architecture forms and invents forms of life in its exploration of matter and the void. Architecture is, in and of itself, an enactment of the borromean knot. Architecture is borromean. 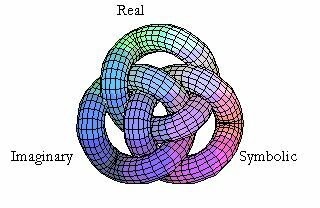 Here, of course, I take some liberties with the borromean knot, adapting it to the needs of machine-oriented ontology. It is a way of tying the borromean knot in actuality, in the enactment of a world. The tying of the knot is the formation of a world and a polis. In the order of the real, it is an exploration of the powers of matter, of the pluralism of matter, of ways of folding, twisting, bending, stacking, and weaving matter to form unheard of voids. Wood, clay, stone, steal, glass, aluminum, thatch, rubber, plaster, unheard of materials yet to be imagined, even living beings as in the case of trees grown together, intertwining with one another, to form a new void. The architects, no less than chemists, physicists, and biologists, are great explorers of the possibilities of matter and what it can do. Enclosures generative of the void must stand and abide. For that to take place there must be a discovery of the powers of matter, but that discovery is a discovery made only through working with matter. Accompanying this discovery is a discovery of the forces of the cosmos– gravity, wind, light, pressure, heat, cold, etc –for these are that with which the enclosure must contend. Architecture in the real creates and forms voids and these voids, in their turn, channel bodies, defining sites of activity, relation, movement, and becoming. There is, however, an architecture of the real, an absolute architecture, that brackets any thought of what might transpire in the void that the edifice creates, and that suspends any question of meaning or affect. 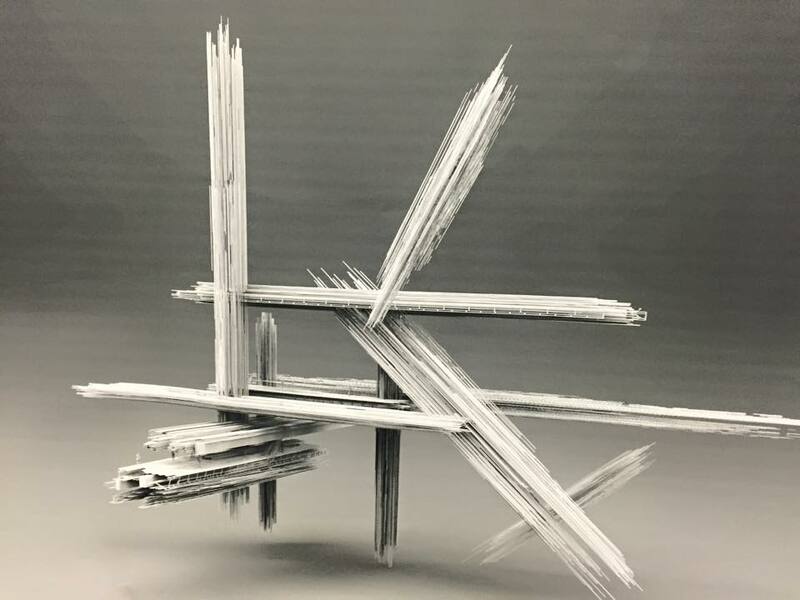 This architecture deterritorializes the edifice from meaning and function; exploring the powers of matter and void for their own sake, seeking to determine what they can do, what can exist. At the level of the symbolic, architecture is a machine that produces meanings. In 1286 William Durandus will write of how every element of the Gothic cathedral signifies. The windows are the scripture, the lattice the prophets, the door is Christ, the piers the bishops and doctors, etc. Everywhere the matter in the real is made to signify in the symbolic, producing a series of meanings in the void; a text or writing in the void. Meaning comes to pervade the enclosure and it presents itself as a text to be read. Yet these texts do not merely ask to be read, the are machines that make meaning and that are formative of subjectivities. The symbolic is then woven with the real and the imaginary, forming systems of affect, action, perception, and the rest. More to come. Graham Harman has claimed that the major division between his version of object-oriented ontology and your ‘onticology‘ lies in your dismissal of vicarious (or indirect) causation, your position that real objects do not have qualities, and your avoidance of any distinction between sensual objects and sensual qualities. Do you agree with Harman’s distinctions and/or where do you position your ‘onticology‘ in relation to Harman’s OOO? Harman was an encounter for me, leading me to attend to an entire world, the world of things, and the differences that make, and also giving me the courage to attempt philosophical work of my own rather than remaining at the level of interminable commentary on other thinkers. I have never been able to determine whether our philosophical differences are genuine, or whether they are merely the result of different linguistic articulations. As Deleuze somewhere says, philosophers always misunderstand one another. 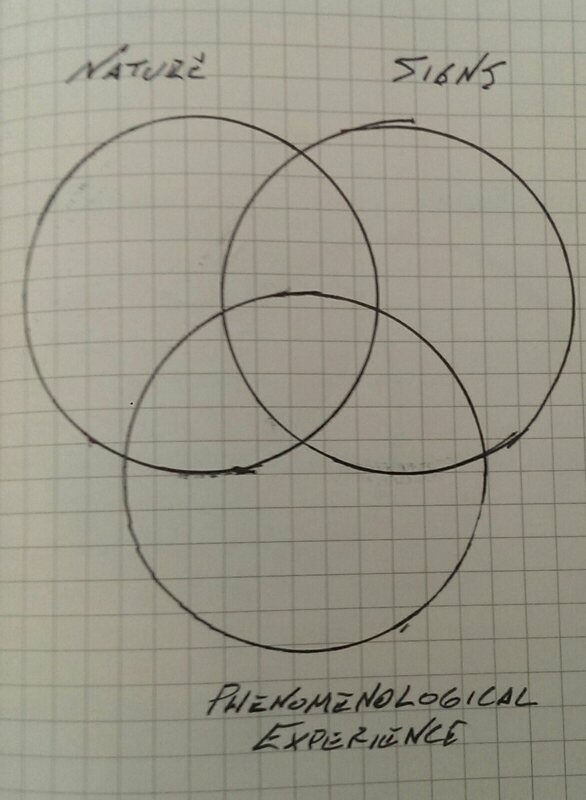 Triangles ACD and BCE are distinct entities, yet nonetheless relate at point C. Clearly they are not relating directly at all points, but why should that lead us to conclude that there’s no real relation between them or that they don’t touch? This is something I don’t understand. 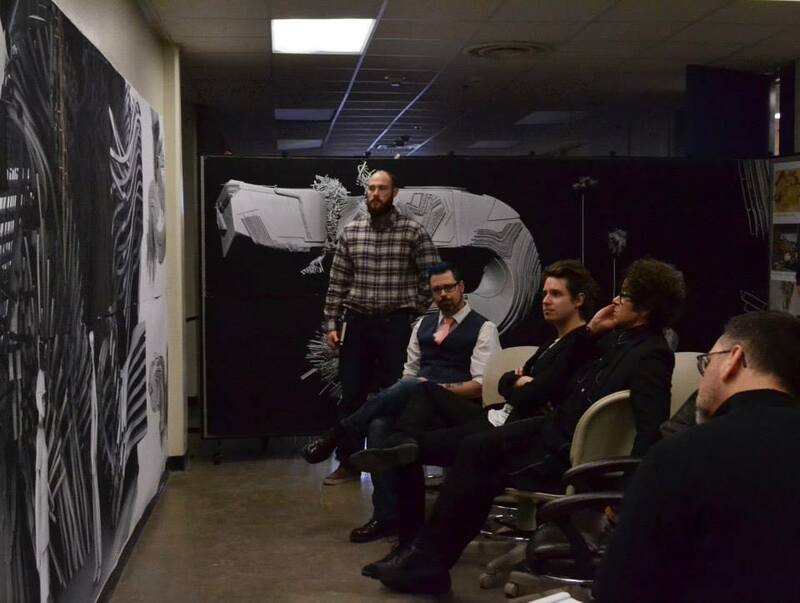 Gilles Retskin and I at the mid-term student review of their work. For anyone who is interested, here is the text of my talk before the College of Architecture at Texas A&M (btexasa&marchitecture). In light of that event and the extraordinary work and architectural thought I witnessed there, much of what I develop here will have to be rethought. Accordingly, I’ve resolved to delve into architectural theory and history to further develop my thought. At present I’m striving to define just what sort of machine architecture is. My working definition is that architecture is a spatio-hyletic experimentation with the void. “Hyle”, of course, is the Greek word for matter. The reference to hyle, I hope, distinguishes architectural thought and invention from the mathematical disciplines of geometry and topology. These are, of course, of the greatest relevance to architectural experimentation (and here I would also add the arrow spaces of category theory), but are not yet themselves architecture. By contrast, the suggestion that architecture experiments with the void attempts to distinguish architecture from sculpture. Student project from Gabriel Esquivel’s studio. Following the strategy of Deleuze, I always strive to individuate arts by what is singular within their medium. For example, in his approach to cinema, Deleuze treats the narrative dimension of film as secondary as film shares this with literature, instead treating cinema as an invention of and experimentation with images. We can approach architecture in a similar way. Absolute architecture– not to be confused with Aureli’s concept –would be a pure exploration of the spatio-hyletic possibilities of space, an invention of voids, that investigates what space can do. Here it is crucial to distinguish between operations and functions. Outside of mathematics, a function is an operation subordinated to a use. An operation, by contrast, is what results from an activity upon a flow, without that activity requiring any use. All functions are operations, but not all operations are functions. We approach architecture functionally when we think it in terms of the uses to which it is to be put (dwelling, labor, educating, worship, etc). We approach architecture operationally when we explore it as a pure experimentation with the void, detached from considerations of function. Perhaps it’s like this. The eternal and universal are not something that is already there, but rather are something that is produced. Here, of course, I’m dancing with Badiou. If it is true that the eternal and universal are something produced, then they are also wagers. No one can know in advance whether something will be eternal or universal. Only time will tell. This entails that both universality and eternity will perpetually face challenges. At any moment these crystals of time could fracture and shatter to pieces. I am here, above all, thinking about works of art. The eternal and universal work of art– song, painting, sculpture, prose, poem, architecture, etc. –is slippery. From the beginning, it doesn’t fit with its time. It’s irreducible and can’t be dated, even if we know its date and its origin. Often it will create strife or controversy; which is to say, discussion. There’s something about it that already exceeds its origin. It doesn’t fit with the culture of its time even while marking that time, nor can it be erased by the biography of the artist. Moreover, it can’t be reduced to a proposition. That is to say, it can’t be translated into a set of statements that would replace it. No, there’s something excessive about it that’s out of joint. It doesn’t fit with its time or author. It belongs without belonging. Yet that is not enough. Not only does it not fit with its time but it doesn’t fit with any time. It travels through time and exists in time, yet no context ever saturates it. Like a rogue planet, it disrupts whatever time it falls into and provokes thought, discussion, and affect, but always in a different way. The origin has produced something that is out of place, a shard of eternity, that travels across time without having a home even though it began somewhere. We say that context stipulates the being of a being, yet crystals of eternity escape all stipulation, instead stipulating. They are absolute orphans and for this reason, universal.